RISE Magazine: From Rights to Reality – Direct Action Welfare Group Inc.
From Rights to Reality is a plan for parent advocacy and family-centered child welfare reform. It Identifies 15 rights for parents involved with the child welfare system. 1. I HAVE THE RIGHT TO not lose my child because I’m poor. 2. I HAVE THE RIGHT TO services that will support me in raising my child at home. 3. I HAVE THE RIGHT TO speak for myself and be heard at every step of the child protective service process. 4. I HAVE THE RIGHT TO be informed of my rights. 5. I HAVE THE RIGHT TO a meaningful and fair hearing before my parental rights are limited in any way. 6. I HAVE THE RIGHT TO quality legal representation. 7. I HAVE THE RIGHT TO support from someone who has been in my shoes. 8. I HAVE THE RIGHT TO have my child quickly placed with someone I trust. 9. I HAVE THE RIGHT TO frequent, meaningful contact with my child. 10. I HAVE THE RIGHT TO make decisions about my child’s life in care. 11. I HAVE THE RIGHT TO privacy. 12. I HAVE THE RIGHT TO fair treatment regardless of my race, culture, gender, or religion. 13. 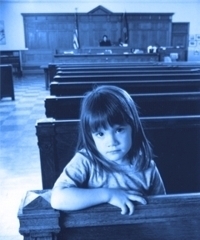 I HAVE THE RIGHT TO services that will support me in reunifying with my child. 14. I HAVE THE RIGHT TO offer my child a lifelong relationship. 15. I HAVE THE RIGHT TO meaningful participation in developing the child welfare policies and practices that affect my family and community. What is important is what you do in the absence after the meeting.